Rotarians love to support other Rotarians, they also love a challenge! 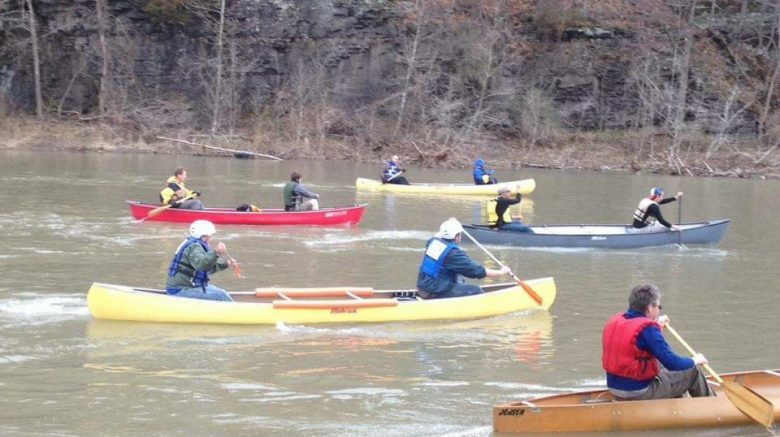 So when Middleburgh Rotary club announced the return of the Sloughter Canoe/Kayak Regatta, Sharon Spring Rotary Club wanted to step up to the challenge. With an aged membership they weren’t quite sure if they could meet the challenge, until the Rotary family element came into play! 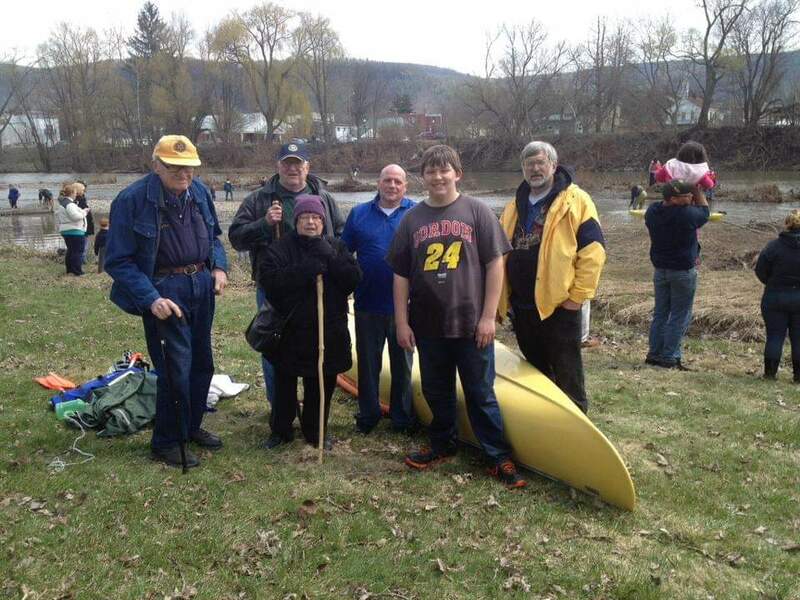 Rotarian Paul Todd had an old canoe and was willing to man 1 paddle and son of Rotarians Jeremiah Tichy stepped up to be the second, but had no knowledge or experience!! Paul took Jeremiah under his wing as the spent many laborious hours cleaning, repairing, polishing and preparing the old vessel for race day. 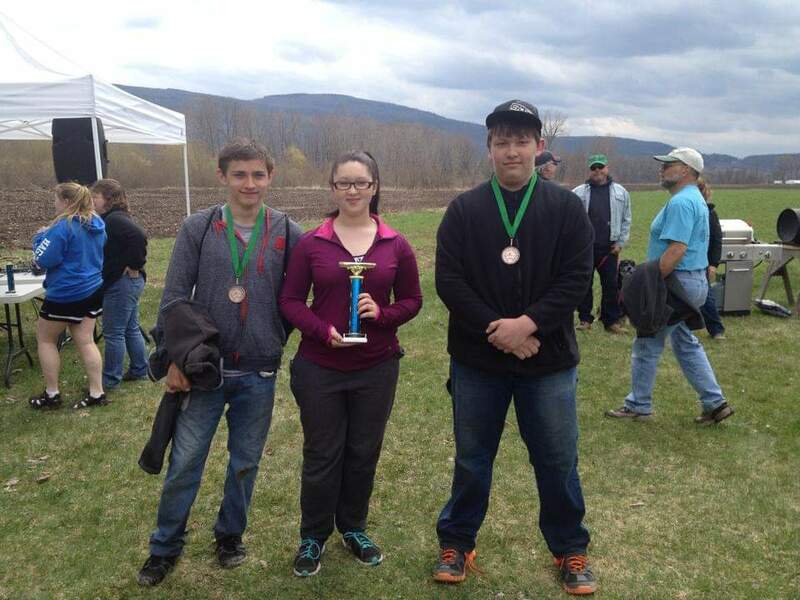 They also did some ‘training’ runs at the local Bowmakers Pond to get a feel…albeit very different on flowing waters of the Schoharie Creek, as they found out! Race day arrived and Paul and Jeremiah took their place in the water. It was an experience to say the least! They started and finished with a few lessons along the way….one being to always carry a spare paddle in case one breaks; another being sportsmanship and simple kindness as was shown by another team who offered one of their spare paddles. All in all they finished the race in an admirable 12th place, and Jeremiah along with two other Sharon Springs kids, Dustin Winnie and Victoria Valhos placed in the top 3 of their class.